Every Thursday, we come together to share the harvest of intentional living by capturing a glimpse of the Bigger Picture through a simple moment. And this month, February, we’re adding a little twist — LOVE. Won’t you join us? Reflect upon something simple but lovely: a memory, a proposal, a falling, a feeling, a connection. 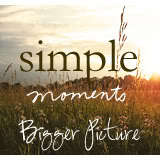 Let’s show LOVE this February in our Bigger Picture Moments! Here’s a glimpse at one of our favorites from last week, shared by Danielle at Sugar and Snails. Click over to read the rest! There was an epic diaper blowout in the morning and vomit at the dinner table. And in between, I felt a tender moment. It happened somewhere between my efforts at feeling like a confident mother as I strolled my slightly feverish 2-year-old (wearing only a shirt and diaper) through errands and fending off dry heaves while being sprinkled with spit-up. I got to hold my baby, who really isn’t one anymore, while he sank into my shoulder, grew heavy and fell asleep. This week’s link-up is being hosted by Alita. Please head over to share your moment and encourage others as we express our lives in the simplicty — the complex simplicity — of an everyday moment. We can’t WAIT to discover your moments! 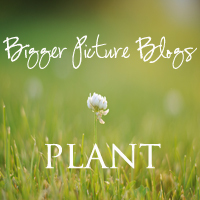 This entry was posted in Bigger Picture Moments, BPB Featured, Uncategorized and tagged Alita Jewel's Treasures, Bigger Picture Moments, Bloggers we love, Love, Simple Moments, sugar and snails. Bookmark the permalink. It’s precious being able to hold them like that, isn’t it? I’m sorry he’s sick but I’m glad he has an amazing Mama like you who cares for him and holds and loves him through this.